With Mother’s Day upon us, I’m thinking of my own mom and my amazing wife, Jennifer–who can do it all. When I’m on the road, I never fret about whether things are going smoothly–because Jennifer handles . . . everything. And when I’m home I get to see first-hand the power of a mom to mold lives. Jenn inspires me. But children can inspire mothers, too. A Facebook post I read last week illustrates a child’s inspiration, and it had me in tears (which is happening far too often these days, but I digress); it was from a FB friend–Shelby–I met while speaking at a banquet a couple of years ago. She’s a single mom and in spite of her situation, decided she would push herself beyond her perceived limits, out of love for her daughter. 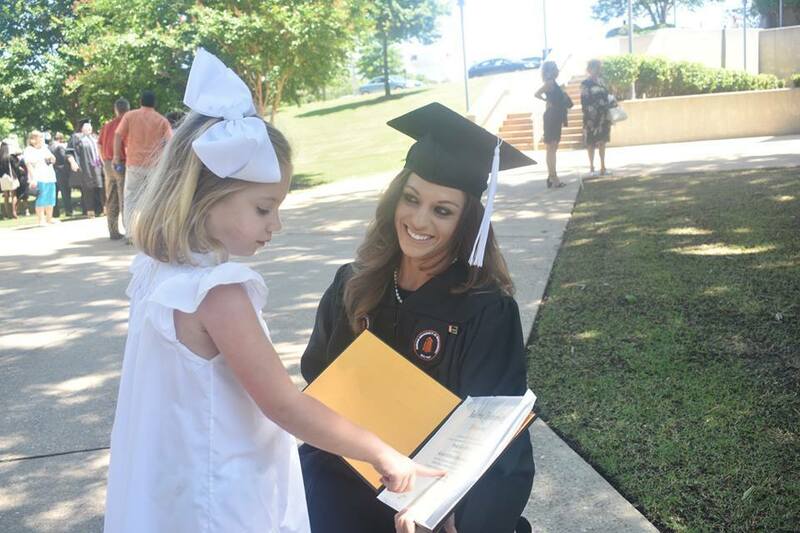 Last week, she graduated from college and her post taught me about perseverance, hope and joy. My column at Pregnancy Help News tells her story, mostly in her own words. Hope you enjoy it as Mother’s Day approaches. On May 18 I get to speak on behalf of StandUp Girl, a powerful online community for women facing unplanned pregnancies. StandUp Girl is a place where those in a tough situation can find support, air out their thoughts and learn from those who found victory during perhaps the most challenging time in their lives. The other day, I was watching a video to be shown at the event when the phone rang. Stand Up Guys has zero to do with StandUp Girl; the “Guys” is a junk removal service. Last week I had called the number on the back of a giant truck (with junk in it), remembering I’ve got a shed that needed cleaning out. So at the same time I was watching a StandUp Girl video, I’m on the phone with Stand Up Guys. Talk about a strange coincidence. Good news, though. They cleared my shed and now I have another project: What to do with the shed now that it’s empty? On of my daughters relayed to me the story of my 7-year-old’s challenging life. After church recently, Jake (the seven-year-old in question) was talking to a college student; my daughter’s friend, staying with us for a few days before moving into an apartment for the summer. I had no idea our family flow was so taxing, but I suppose changes must be made. Until more random thoughts pop up . . .